We’re all in. 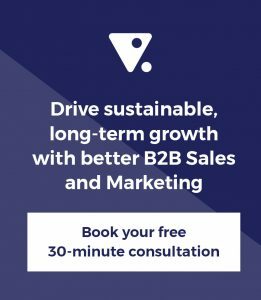 Funnel Plan has gone from being a great tool to help our consultants to build sales and marketing plans for clients, to a ‘bet the farm’ investment in a self-contained software product licensed as a software service (SaaS) model. Our clients have built over 2000 sales and marketing plans using Funnel Plan and we learn more every day about what clients want. So you’d think it reasonable that we feel we need to build everything ourselves, so that we can own all the IP. Our development team could certainly be forgiven for wanting to build everything rather than buy it in too. I mean, what self-respecting developer wants to buy a tool when they can build it themselves? Sometimes though, the build isn’t worth it. 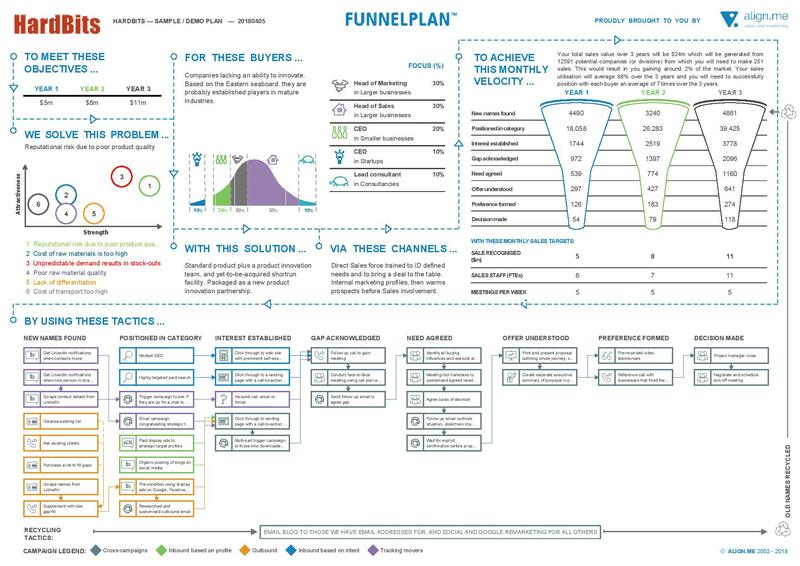 We’ve recently built a new version of the PDF generated by our Funnel Plan software using a new tool called Aspose.Slides. Here’s the challenge we were facing. The PDF generated by Funnel Plan is a one-page distillation of the objectives, strategy, velocity and tactics (process) that Sales and Marketing plan on using to generate new business. Boiling that down to one page means we need to get crazy good at telling a complex story in a few words and images. We’ve been doing that using some hand-generated code that outputs the words and numbers – formatted nicely – into a PDF. 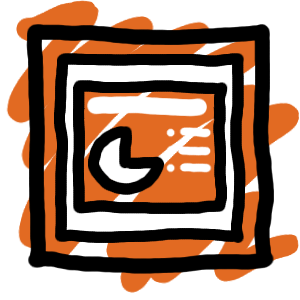 When we set out to rebuild that to a new (and improved) format, we found it faster to output that to PowerPoint using xml, and then the easier step to get from PowerPoint to PDF. In the above example, we need to show that there are three separate campaigns that bring people to the landing page. Presenting this required precise control of connected arrows, including whether we showed 1, 2 or 3 separate input paths, how we spaced them, and the colours of each. 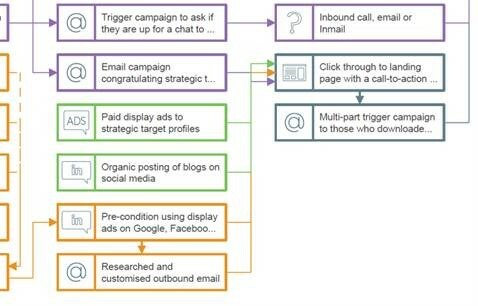 Flows between tactics within the same stage in the buyer’s journey are treated differently (dotted lines). All of this complexity can be handled by PowerPoint with no problems, but parcelling up that complexity into xml and still holding some overall rules in the application made for a huge development effort. We chose to use Aspose.Slides for .NET rather than to build this ourselves. Now, here’s the surprise benefit. More that has us pretty excited. Have a closer look at the Funnel Plan software that helps Sales and Marketing professionals to build and communicate their plans here and the Aspose.Slides software that we use as our preferred method of outputting to PowerPoint here.